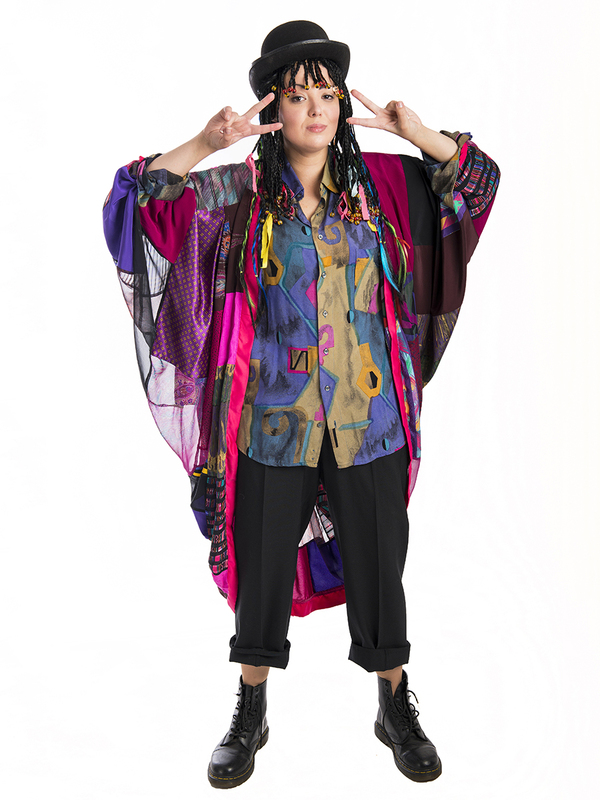 Fabulous 80s Boy George costume for hire. Perfect for a music or 80’s retro themed party. You’ll be singing along to all the karaoke songs like the wedding singer in this fun costume. 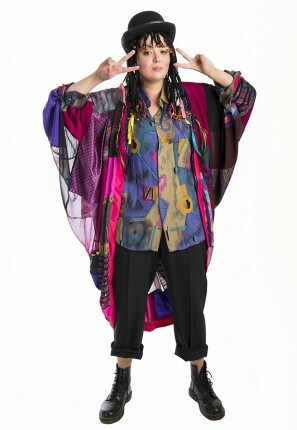 Costume consists of Bowler hat with attached plaits, Rainbow colored jacket, 80’s shirt and pants. Optional lace up boots.